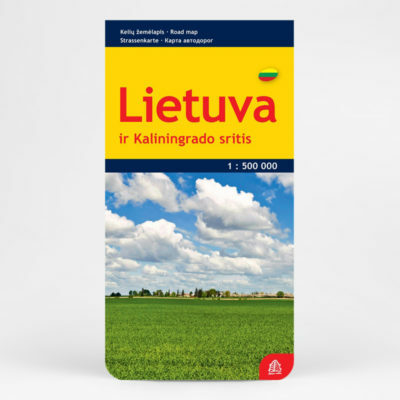 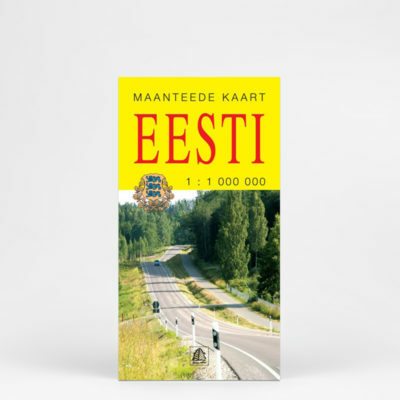 Estonia roadmap scale 1:1 000 000 with Tallinn (scale 1:100 000), Kohtla-Järve, Kuresssare, Narva, Pärnu, Rakvere, Tartu, Valga and Viljandi (scale 1:50 000) city plans. 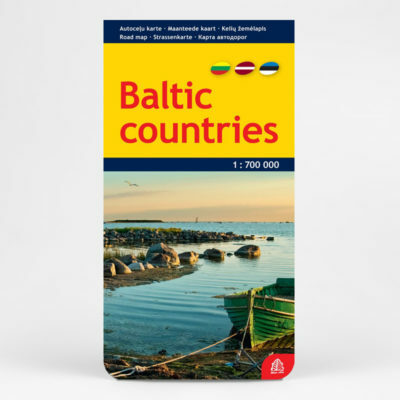 This edition is devised for those who may see the usual road map as too big or too detailed. 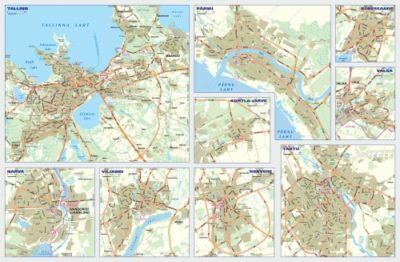 This map fit in the pocket. 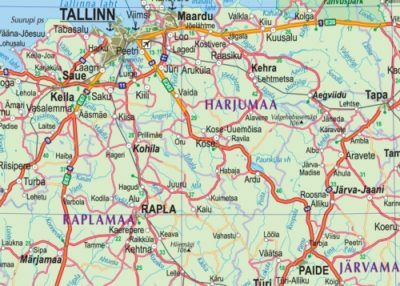 If you would like to go, for example, from Tallinn to Narva, then this small road map will be sufficient. 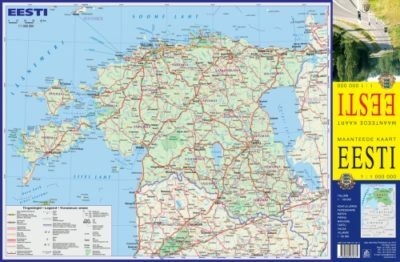 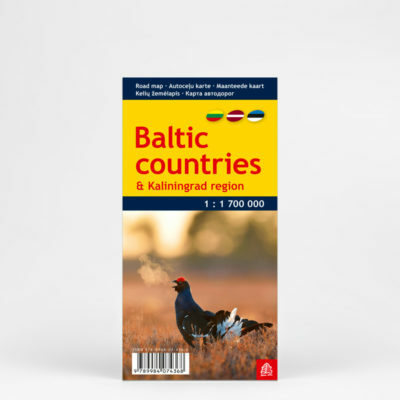 Despite the size, the map shows quite detailed road network with distances between the main road intersections, railroads, ferry service lines, border crossing points, national parks and selected populated places.